In South Africa, as in the rest of our world, as human populations grow, so indigenous, pristine habitats are vanishing, along with their associated plant and animal species. 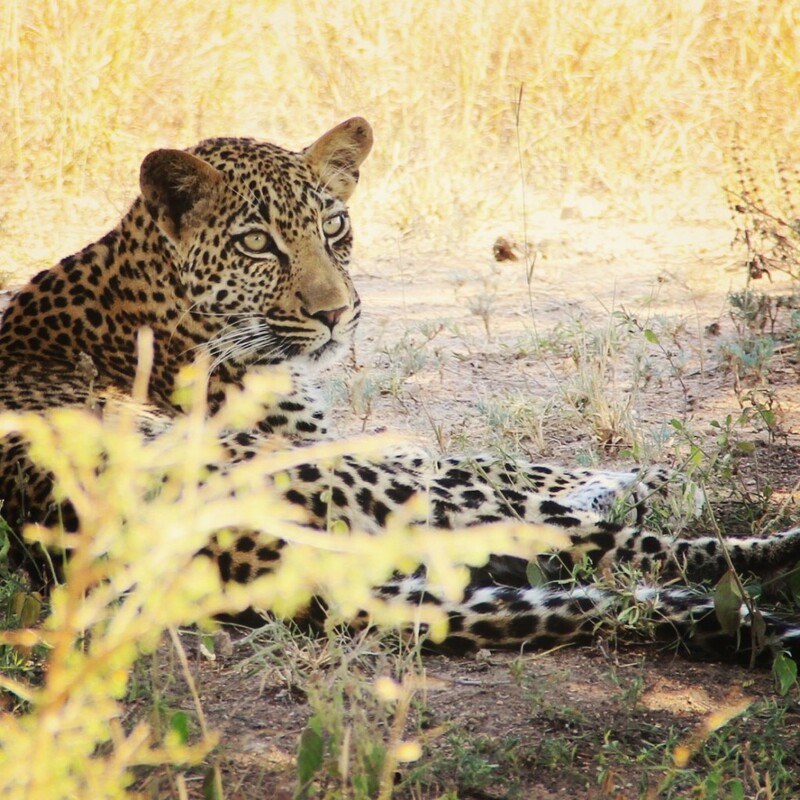 Consequently there is an urgent need amongst nature enthusiasts to immerse themselves in the bush, affording a fleeting chance to relax and let Nature remove the everyday strains of life. We have attempted to offer the bush connoisseur an opportunity to satisfy the need described above. Marc’s Treehouse Lodge offers rustic but comfortable accommodation geared to put one in close contact with the sights, sounds and scents of the wild. The treehouses are made of wood and reeds under thatch and blend harmoniously into the dense riverine vegetation. 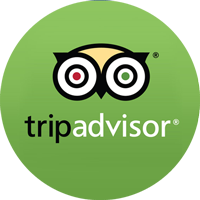 Creature comforts include electric fans, mosquito nets and comfortable beds, with linen, towels and soap provided. 24 hour WIFI is available to all guests. 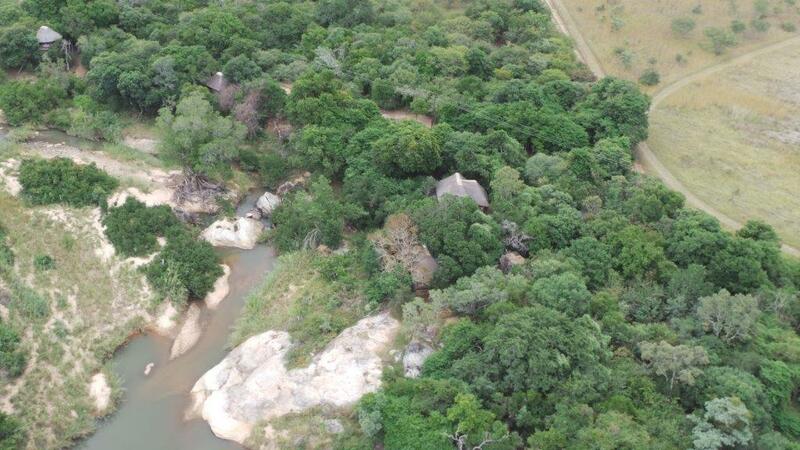 Each treehouse has its own private ablutions and has a viewing deck overlooking the perennial Klaserie River or the “Breakfast” Dam, where animals often come to drink. 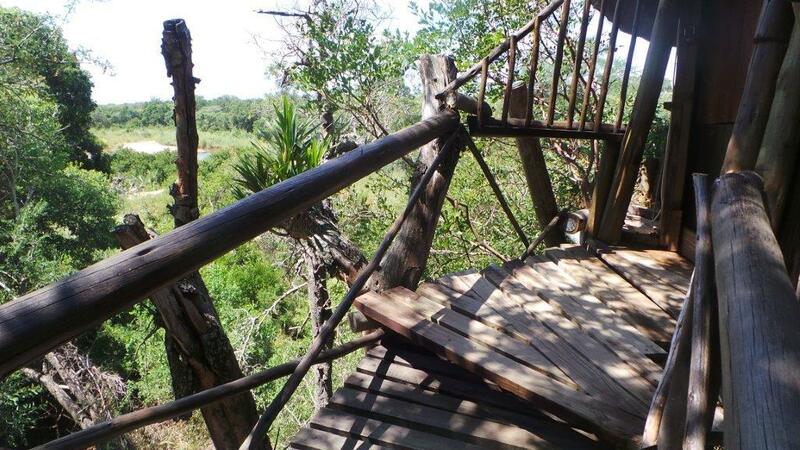 The treehouses are unobtrusively located on the elevated banks of the river, providing excellent views of the terrain. 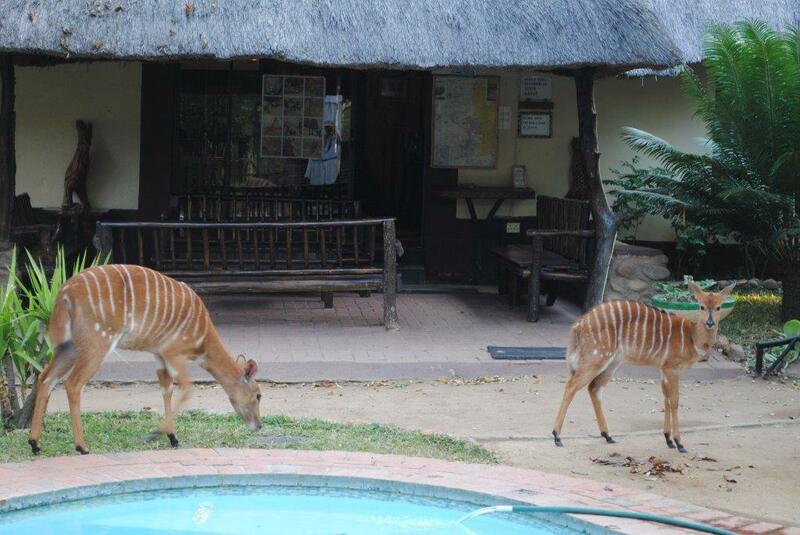 Marc’s Treehouse Lodge is part of the Motlala Game Reserve which boasts well-watered grazing for its varied fauna. White and Black Rhino, Buffalo, Giraffe, Zebra along with the numerous antelope have made the Motlala Reserve a real wildlife paradise. Among the predators, Leopard and Hyena are more often heard than seen. The nights at Marc’s Treehouse Lodge are enriched by the calls of its denizens : the eerie whoops of hyena; the spine-tingling wail of jackals , the distant roar of lions and the plaintive cry of the thick-tailed bushbaby add an unforgettable aural dimension to one’s appreciation of the bush. Birds tend to be more vocal than most other creatures. In the thick canopy of the treetops at Marc’s Treehouse Lodge – probably due to restricted visibility – the avifauna are particularly noisy as they warn of predators, call their mates or proclaim the boundaries of their territories. Among the feathered fraternity at Marc’s Treehouse Lodge, colourful specials include Narina Trogon, Purple-crested Touraco, Trumpeter Hornbill, Natal Francolin and Natal Robinchat. The early morning cacophony of birdsong is a stark reminder that one is deep in the riverine bush. Marc’s Treehouse Lodge has attracted not only adventure-seeking tourists but also many authors and journalists – the splendid articles under “Media” bear eloquent testimony to the special experience afforded them at this unique lodge.